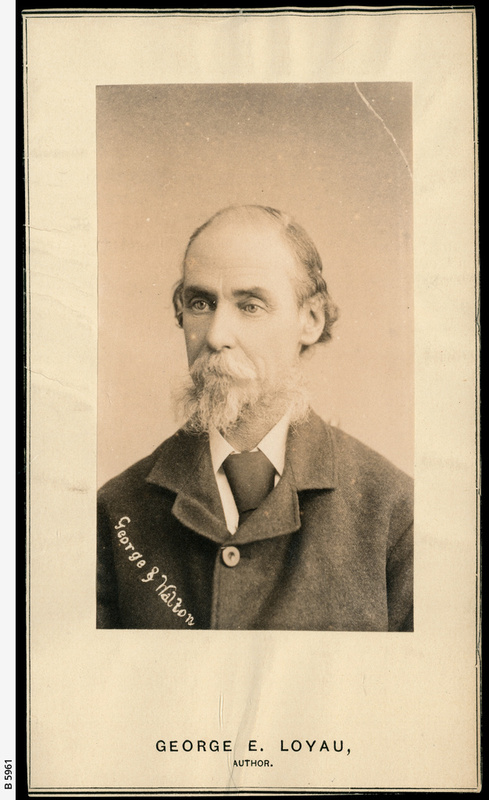 [General description] Head and shoulders portrait of George Ettienne Loyau. His slicked down hair is thinning and he wears a beard and moustache. He was born in London and arrived in Sydney in 1853. He spent the next seven years travelling in Australia in a variety of occupations from gold digging to tutoring. He went on to be a journalist, author and newspaper editor.